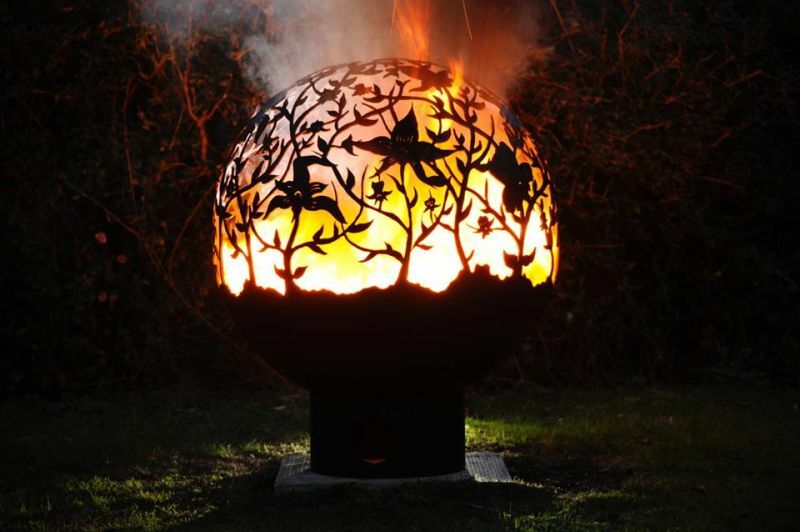 With winters on a roar, you might be searching for a wood-burning fire pit for your patio or backyard. 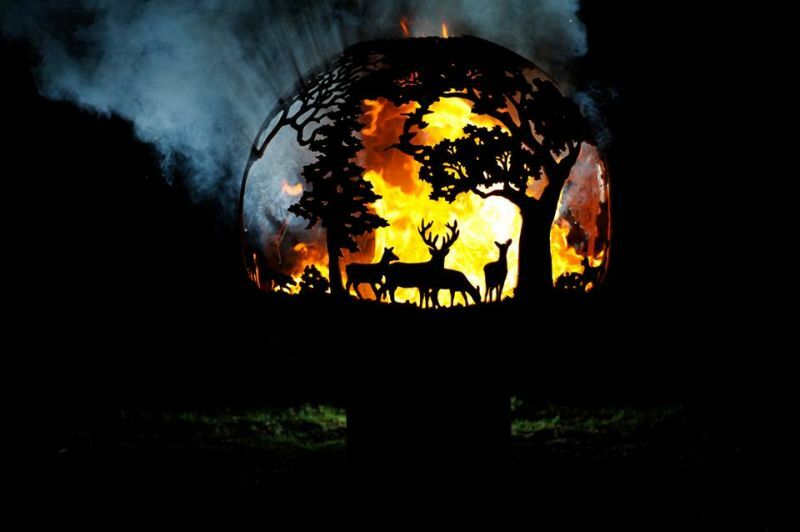 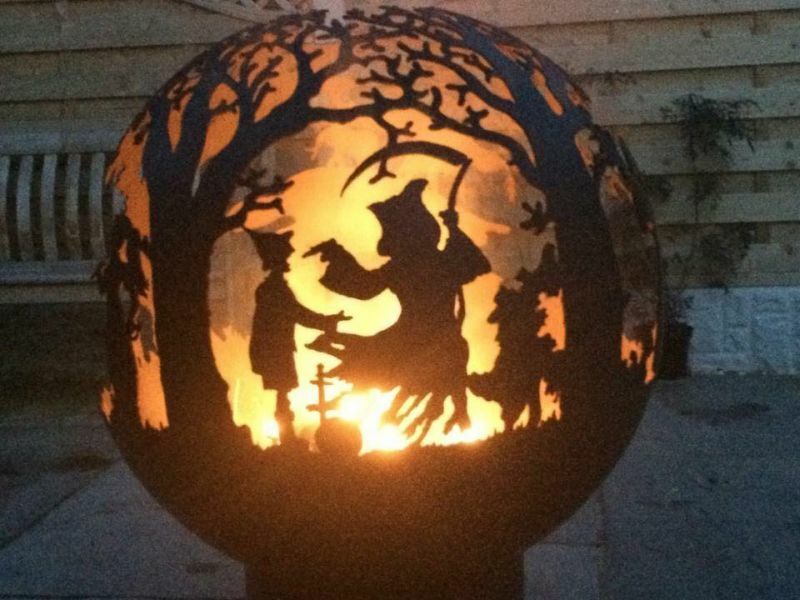 There are countless options out there, but if you’re craving for some extraordinary outdoor fire pit that adds to your backyard décor, the UK-based sculptural artist and farmer Andy Gage of The FirePit Company have a great solution to warm up your evenings. 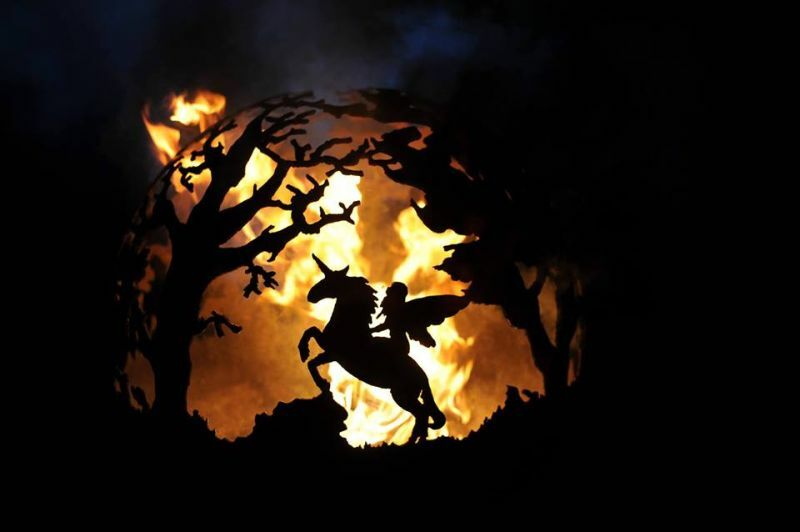 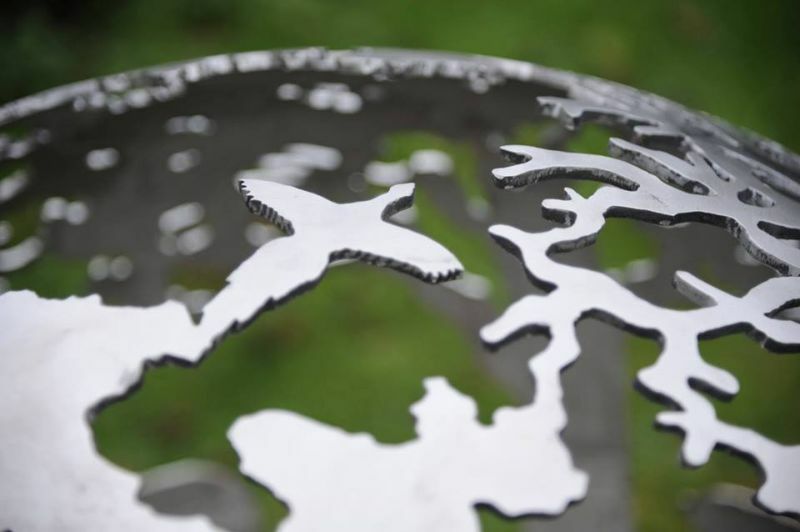 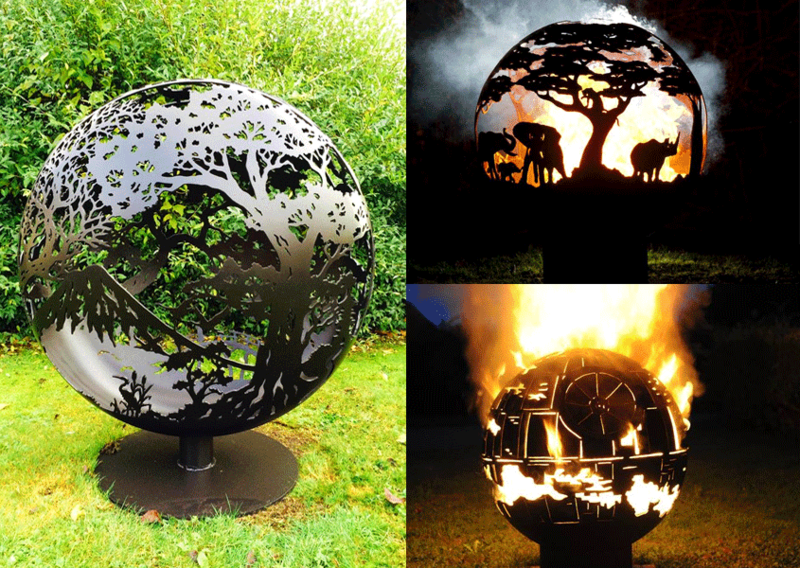 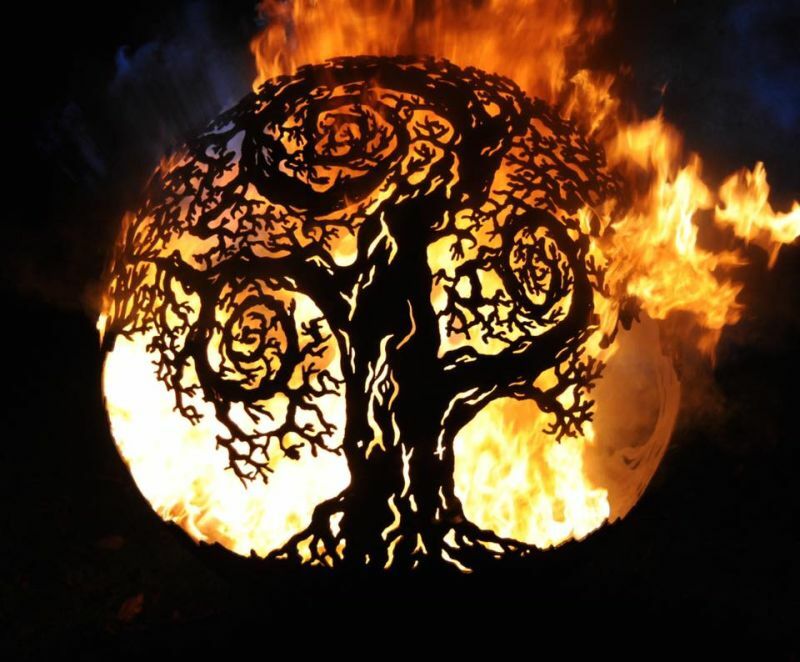 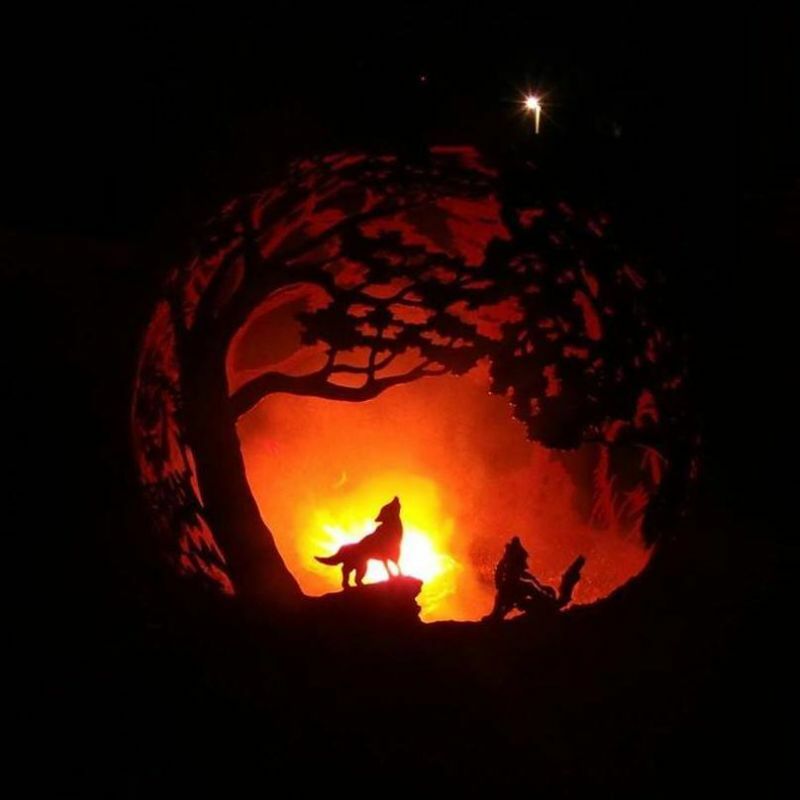 They handcraft spherical metal fire pits, carved with beautiful nature scenes, which make them a centerpiece for backyard. 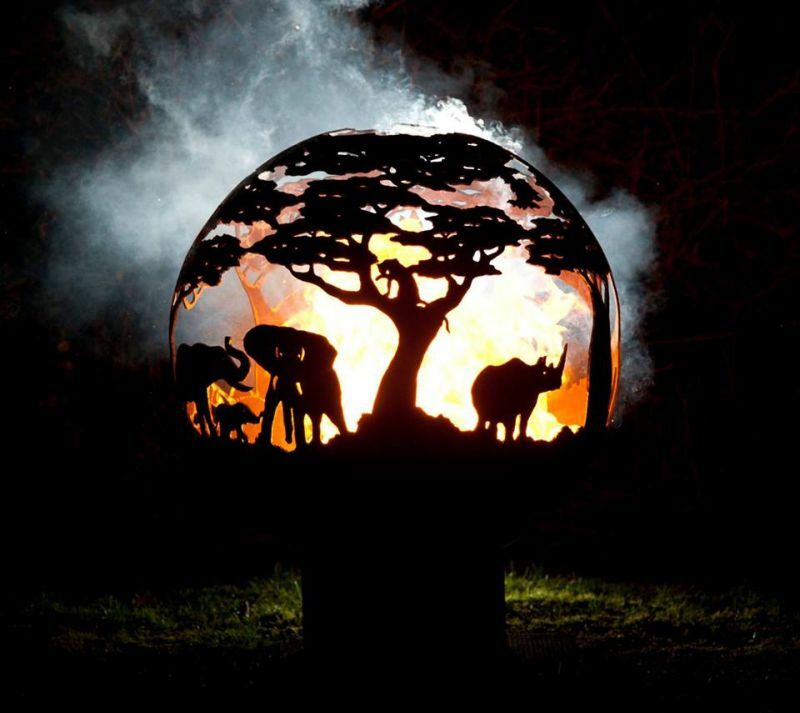 The fire ball featuring pragmatic African safari scenes is one of the most popular designs by Andy. 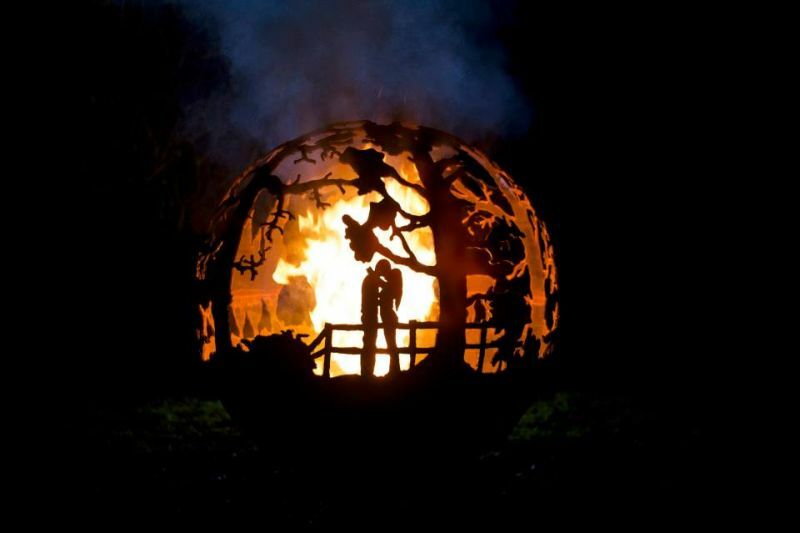 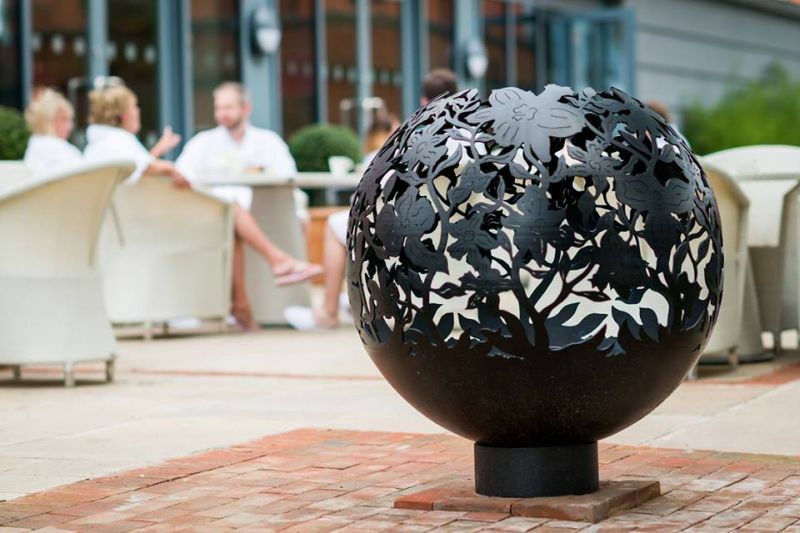 Each fire pit consists of two metal hemispheres welded together to form a sphere. 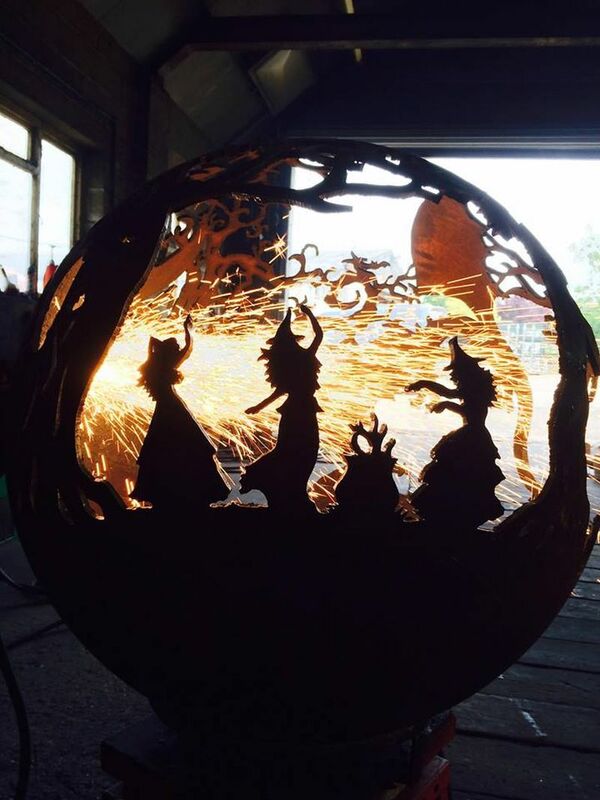 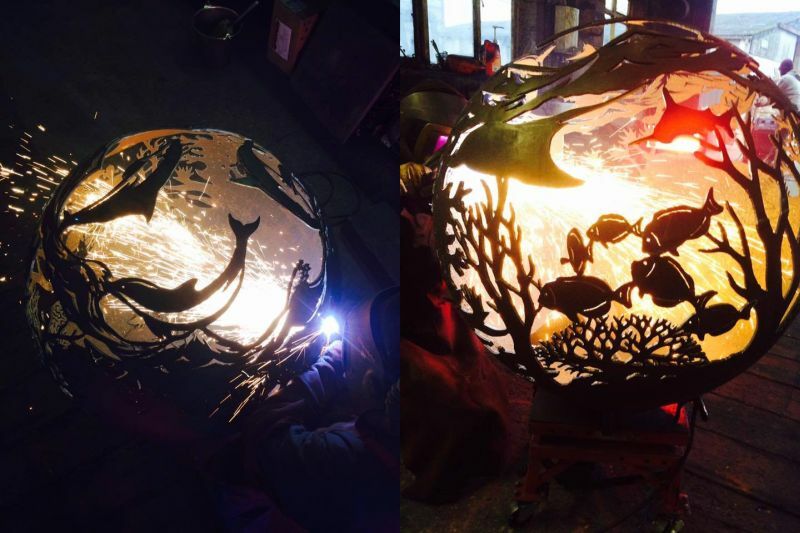 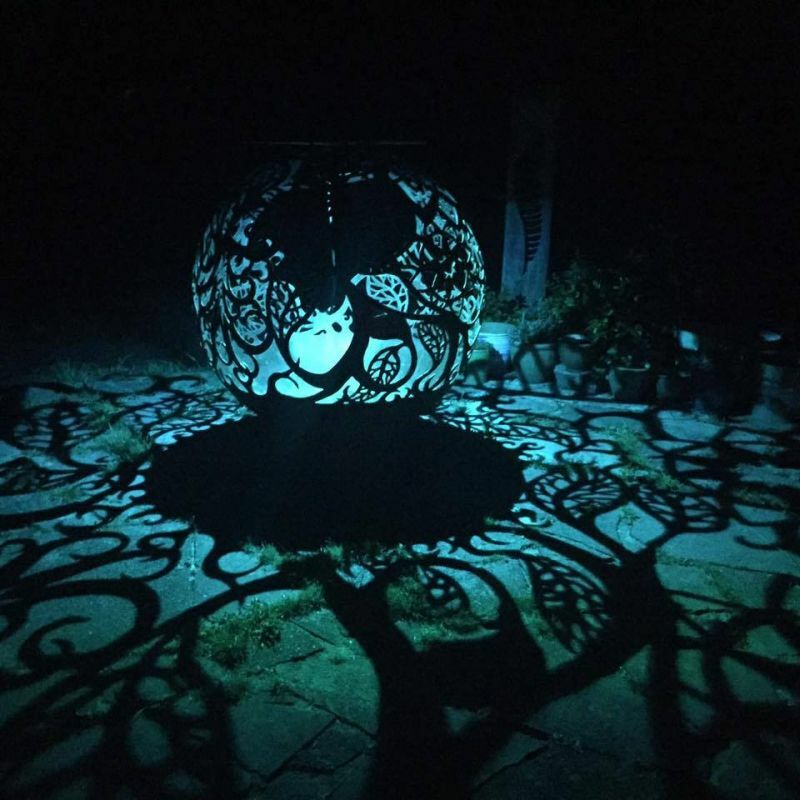 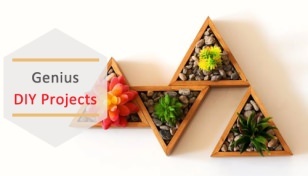 Designs are first hand drawn on the balls, and then cut using a plasma cutter. 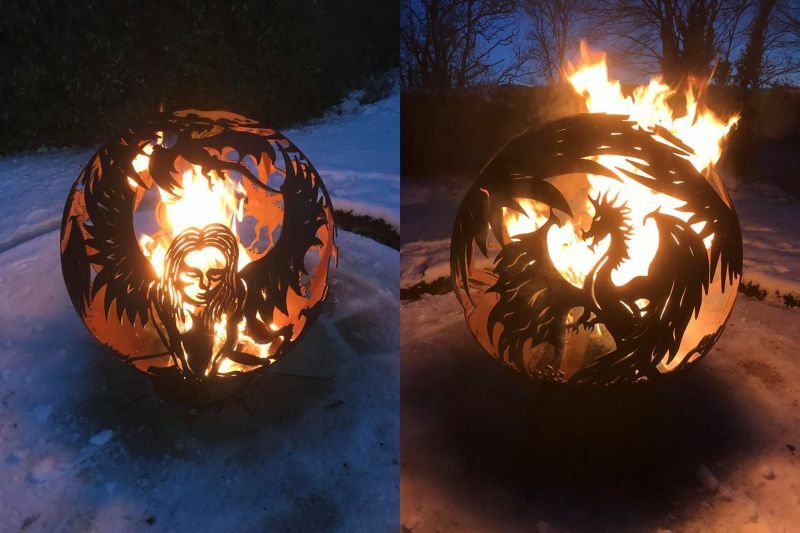 There are options to finish fire balls with heat-proof paint, or they can be left to weather and grab totally natural aesthetic over time. 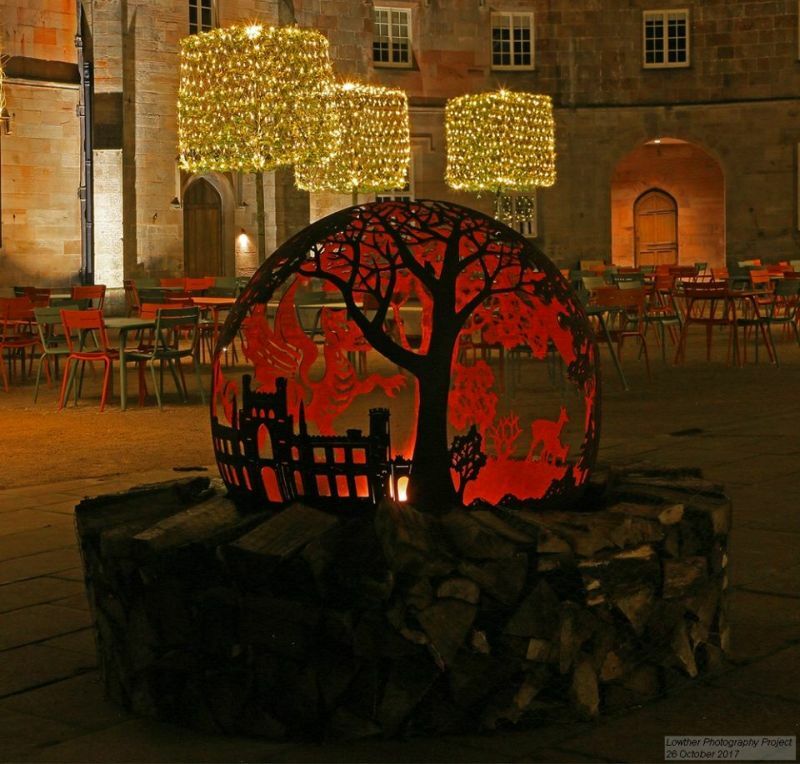 These fire balls offer warm fire and blends into any outdoor space seamlessly. 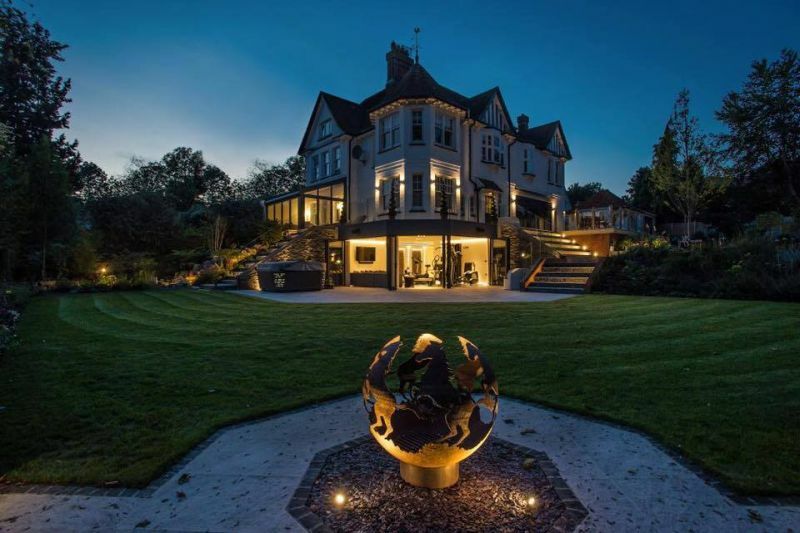 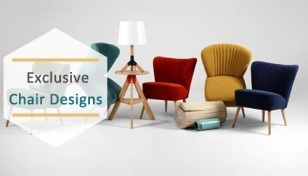 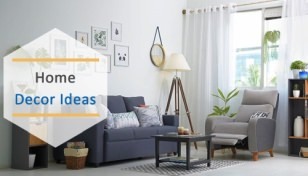 They make perfect spot for family and friends to gather and enjoy wintery evenings together. 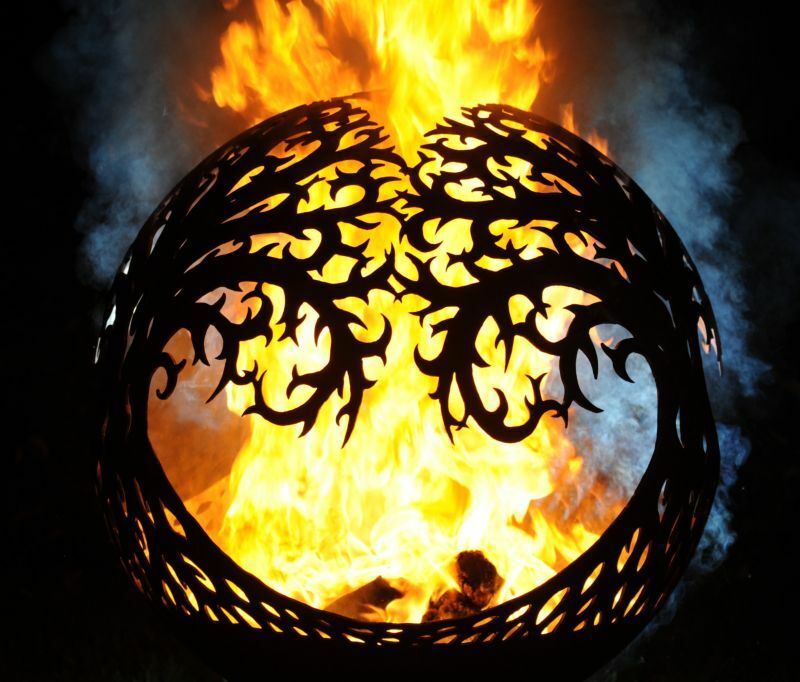 These carved metal fire pits are available in three different sizes, with many other customization options, including paint and lighting. 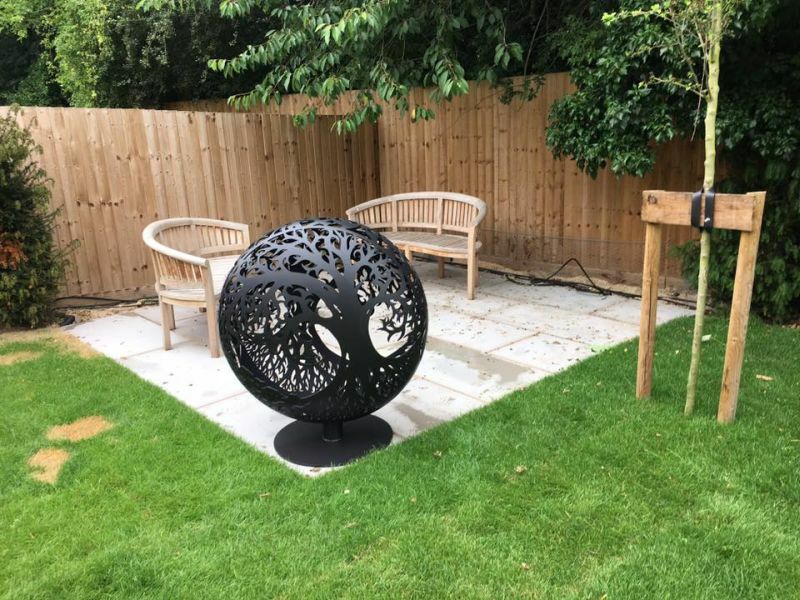 The basic model measuring 650mm starts from £949 (US$1280), while you have fork out a minimum of £1,499 (US$2,022) to get the largest fire ball measuring 900mm.